Home news Brexit Means … podcast, are things likely to get moving anytime soon? Brexit Means … podcast, are things likely to get moving anytime soon? At the European parliament in Strasbourg, a leading MEP called on Theresa May to sack her foreign secretary over his constant unhelpful interventions in the Brexit debate. The parliament, which has a veto on the outcome of the divorce talks, then voted overwhelmingly to censure the UK for its handling of the negotiations and called on the EU’s chief negotiator, Michel Barnier, to stand firm on its demands on money and the “indispensable” role of the European court of justice in overseeing any agreement. The parliament’s Brexit point man, Guy Verhofstadt, the European commission president, Jean-Claude Juncker, and Barnier himself all lined up to criticise the government, pointing to “serious divergences” not just between the UK and the EU but seemingly also within May’s cabinet. 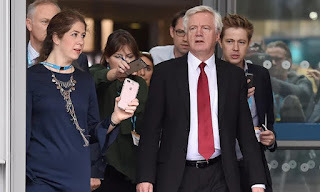 Fox blamed the EU for the fact the talks were advancing so slowly and Davis’s message was that the government has a “determined exercise” under way to be ready for the worst if the talks fail. “Not because it’s what we seek, but because it needs to be done.” None of which sounds particularly reassuring. 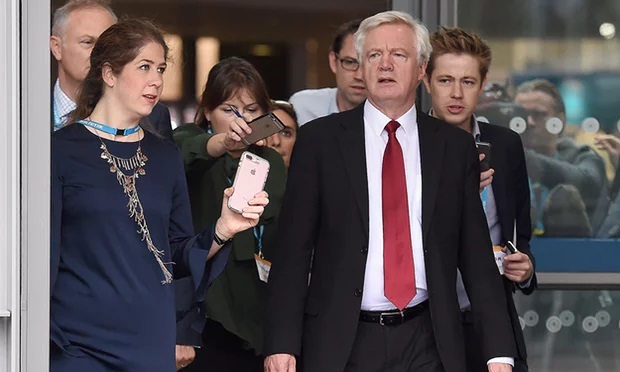 With Jon to dissect the past week’s events and figure out whether anything looks like moving anytime remotely soon are the Guardian’s own duo of perhaps increasingly desperate Dans, Brexit policy editor Dan Roberts and Brussels bureau chief Dan Boffey.